Oscar-winning director Ang Lee has directed nearly everything – the Hulk, gay cowboys, sexual spies, kung fu experts, romantic sisters – now he’s tackling the greatest concert of all-time – Woodstock! Lee will direct and Focus Features president James Schamus will write the screenplay for a film based on Elliot Tiber’s memoir "Taking Woodstock: A True Story of a Riot, Concert, and a Life." While not exactly about the concert itself, the story instead focuses on a motel owner who inadvertently sets in motion what would eventually become one of the most unforgettable concerts in history. Production is expected to begin before year’s end with a $5 to $10 million budget. The film will focus solely the lead character of Elliot Tiber and feature a "colorful" ensemble as well. Although it will be set during the "politically turbulent" summer of 1969, there’s no word (at least in regards to licensing) on whether the film will actually feature any of the music from that time. Schamus explains his enthusiasm for the project: "Elliot’s exuberant and heartfelt story is a perfect window onto the Woodstock experience. It explores an inspiring historical moment when liberation and freedom were in the air." Let’s just hope that makes for a good story on screen, too. Ang Lee and James Schamus have worked together previously as director/writer on 10 films, including: The Ice Storm, Ride with the Devil, Crouching Tiger, Hidden Dragon, Hulk, and Lust, Caution. If you’ve liked any of Lee and Schamus’ work previously, it’s likely Taking Woodstock will deliver in the same vein. 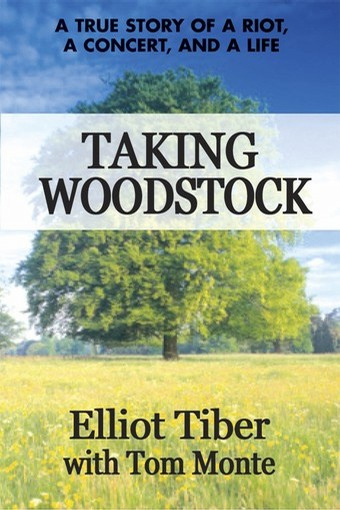 You can pick up a copy of the book on Amazon.com and check out the story of Elliot Tiber and Woodstock before the film goes into production – something that I’d highly suggest.